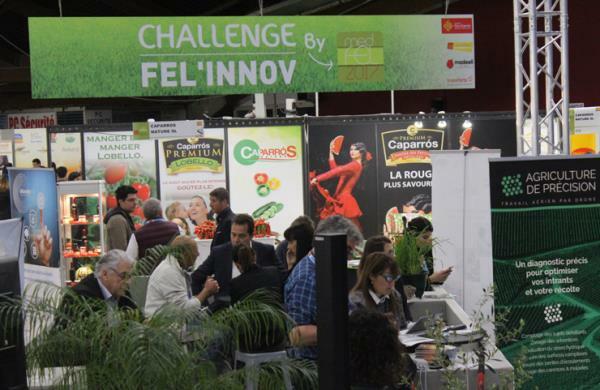 The FEL'INNOV Challenge is a creation of MEDFEL which aims to place innovation at the heart of the fruit and vegetables sector and to promote the meeting between the supply of innovative solutions and demand. It is a pitch contest where each candidate has 5 minutes, chrono in hand, to demonstrate the added value of its solution. The competition takes place on a television set at the heart of MEDFEL, in front of a qualified jury made up of experts from the fruit and vegetable sector, scientific experts and the public (buyers of the show). - Production: management tools, steering etc. - Packaging stations: sorting, calibration etc. - Supply chain: management tools, traceability etc.